The railways has registered savings of Rs 5,636 crore in power bills from April 2015 to October 2017, the transport behemoth said today. NEW DELHI: The railways has registered savings of Rs 5,636 crore in power bills from April 2015 to October 2017, the transport behemoth said today. It also projected a cumulative saving of Rs 41,000 crore in the next ten years. "The Indian Railways (IR) has succeeded in achieving a cumulative saving of Rs 5,636 crore from April 2015 to October 2017 against the Business As Usual (BAU) mode by procuring power directly under Open Access arrangements. "This cumulative figure is likely to further go up to Rs 6,927 crore by the end of the current financial year which is around Rs 1,000 crore more than the stipulated target," the ministry said. The Open Access policy under the Electricity Act, 2003, allows consumers with electricity load above 1 MW to procure power directly from markets. The railways currently sources power through open access route in seven states--Maharashtra, Gujarat, Madhya Pradesh, Jharkhand, Rajasthan, Haryana and Karnataka--and Damodar Valley Corporation area. 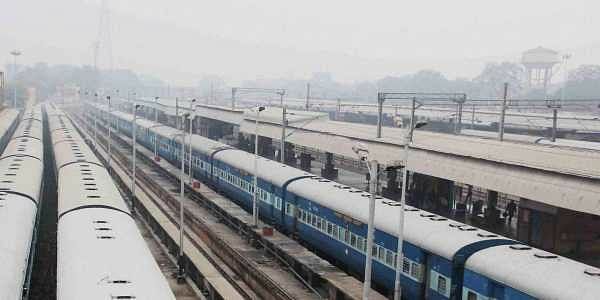 Five more states namely Bihar, Uttar Pradesh, West Bengal, Tamil Nadu and Telangana have also agreed to permit the railways for flow of power though open access route which is likely to start by next year, the ministry said in a statement. "The estimated savings on these accounts indicate that in ten years (2015-'25), these initiatives can generate a cumulative saving of about Rs 41,000 crore," the statement said. As of now out of the total requirement of about 2,000 MW of the IR for electric traction power more than 1,000 MW is flowing under open access. This has reduced the average cost in these states, where power is flowing under open access, to about Rs 5 from the earlier cost of more than Rs 7 per unit. These savings, the statements said, will be utilised for taking up electrification of the rail network as part of Mission Electrification. This will further reduce the diesel bill and multiply the savings in energy bill, taking it to about Rs 10,500 crore per annum in the next few years on 100 per cent electrification of the IR network, the ministry said. The Central Electricity Regulatory Commission had allowed the railways to undertake transmission and distribution of electricity as a deemed licensee under the Electricity Act through an order in November 2015. The railways consume around 2.8 billion litres of diesel a year, costing Rs 18,000 crore, and 17.5 billion units of electricity. Currently, nearly 30 per cent of the fuel bill goes into paying state taxes.